Earn $84.90 in VIP credit. Click to Learn More. Rolf Prima's VIGOR ES Disc Clincher Wheelset is engineered for both training and racing with its optimal combination of low weight, stiffness, and aerodynamics. 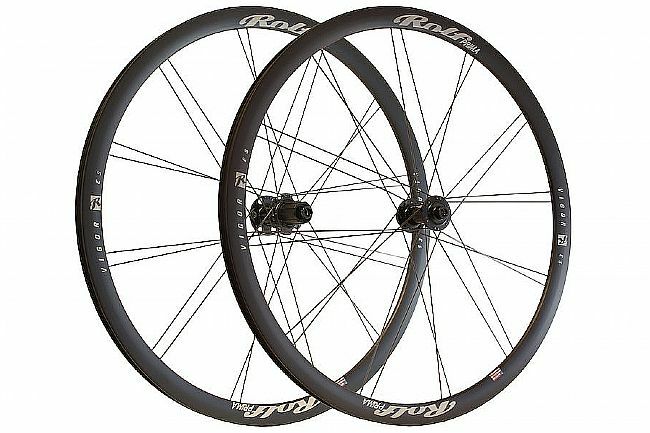 This wheelset comes with a front and rear wheel, rim strips, a QR set, and Rolf Prima's Certainty. Rim Width: 19.5mm (internal), 23mm (external). Manufacturer Warranty: 5 years for wheels; 2 years for decals and bearings.